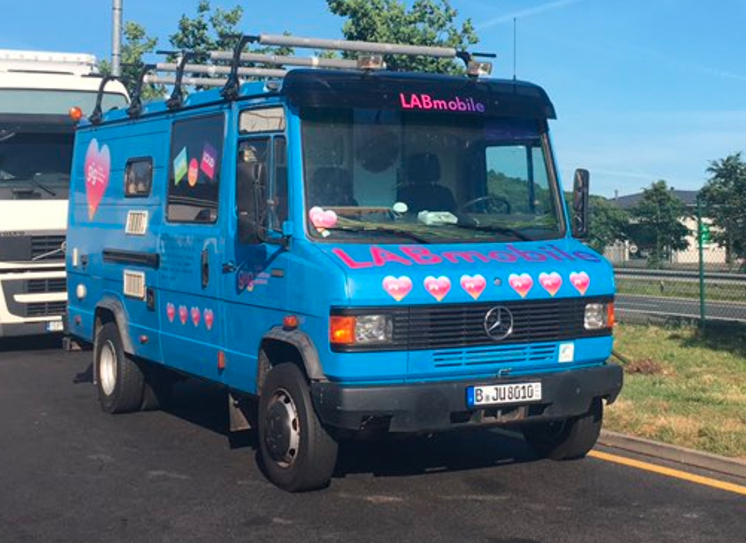 Our sparkling Big Blue #Labmobile is on it’s way to Greece together with a fabulous team: its creator Vicy, Communitere and FabLab Siegen. Also at this years re:publica was the #labmobe the centre of all amazement. Final destination: Thessaloniki.